He once joked about his military career, "I was the only celebrity who went in and came out a private." 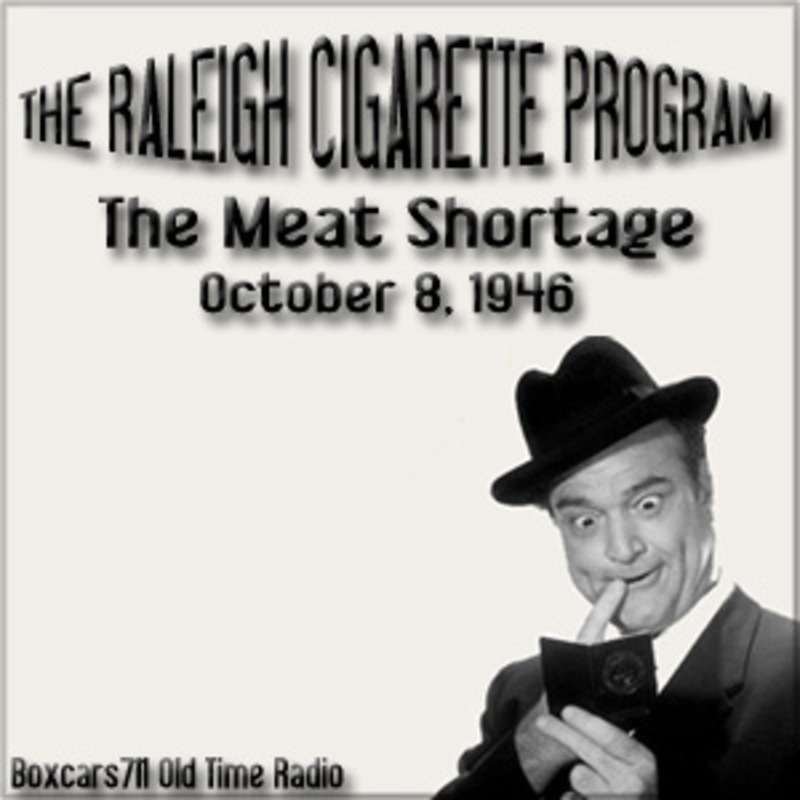 On December 4, 1945, The Raleigh Cigarette Program resumed with Skelton introducing some new characters, including, "Bolivar Shagnasty" and "J. Newton Numbskull." Lurene Tuttle and Verna Felton appeared as Junior's mother and grandmother. David Forrester and David Rose led the orchestra, featuring vocalist Anita Ellis. The announcers were Pat McGeehan and Rod O'Connor. The series ended May 20, 1949. That fall, he moved to CBS, where the show ran until May 1953. Red Skelton died near his Anza, California home, at Eisenhower Medical Center, in Rancho Mirage, California, of pneumonia, on September 17, 1997. He was 84. Skelton was interred in the Skelton Family tomb in The Great Mausoleum's Sanctuary of Benediction, private room, at Forest Lawn Memorial Park, in Glendale, California. He rests with his beloved son Richard Jr., who died in 1958. THIS EPISODE October 8, 1946. NBC network. Sponsored by: Raleigh, Sir Walter Raleigh Tobacco. The Skelton Scrapbook of Satire: "The Meat Shortage. "Episode Notes From The Radio Gold Index. 3692 episodes available. A new episode about every 5 hours averaging 29 mins duration .